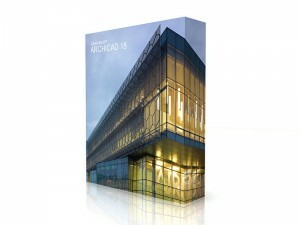 GRAPHISOFT North America has announced that ArchiCAD STAR(T) Edition 2015 is now available. Users of ArchiCAD STAR(T) Edition 2015 will find a full-fledged BIM solution including critical features that are necessary at smaller firms, home builders and building contractors. The feature set in ArchiCAD STAR(T) Edition 2015 allows for the creation of any type of Virtual BuildingTM model and architectural documentation (floor plans, sections/elevations, 3D views, details). Small firms get big software at a low price point. GRAPHISOFT built on the huge value of the previous edition of STAR(T) which already contained the powerful MORPH and Shell tools. 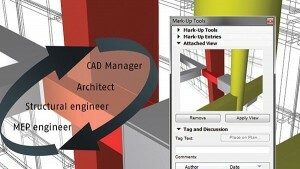 Running on the powerful ArchiCAD 18 engine, STAR(T) Edition 2015 elevates that value once again. It is all that is needed to create a BIM that is data-rich and able to produce all floor plans, sections/elevations, 3D views and details for a project. Advanced modeling tools such as the Shell tool, MORPH and priority-based connections are also included within STAR(T) 2015. Serving as a base for the latest ArchiCAD STAR(T) Edition 2015, ArchiCAD 18’s robust, well-tested engine satisfies the needs of a smaller practice. 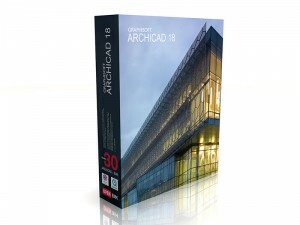 Therefore, ArchiCAD STAR(T) Edition has most of the feature set, content and benefits of ArchiCAD 18. Latest IFC, DWG and DXF file exchange capabilities to enable full, model-based and hybrid coordination workflow with consultants. Is there a page summarizing the differences between Start Edition 2015 and ArchiCAD 18? Also, the post mentions that SE2015 includes the GDL objects up to version 17; is this correct or does it include the AC18 library? Thanks in advance for clarifying this so I can better understand the features and limitations of SE2015 vs. AC18. it’s missing a lot on the SE2015. Seems that GS still needs to create some sort of 1 year trial agreement, licensing month-to-month…etc…type rental cause at $5K a license for architects to “try it out” is a heck of an investment. When this software will be available and at what price? Our individual stations do not have Internet access. Will Archicad Start 2015 work in its entirety without the Internet? It should. An Internet connection is not needed to run ARCHICAD. Although there are so many great resources online for ARCHICAD; I can’t imagine not having constant access to the Internet while working!